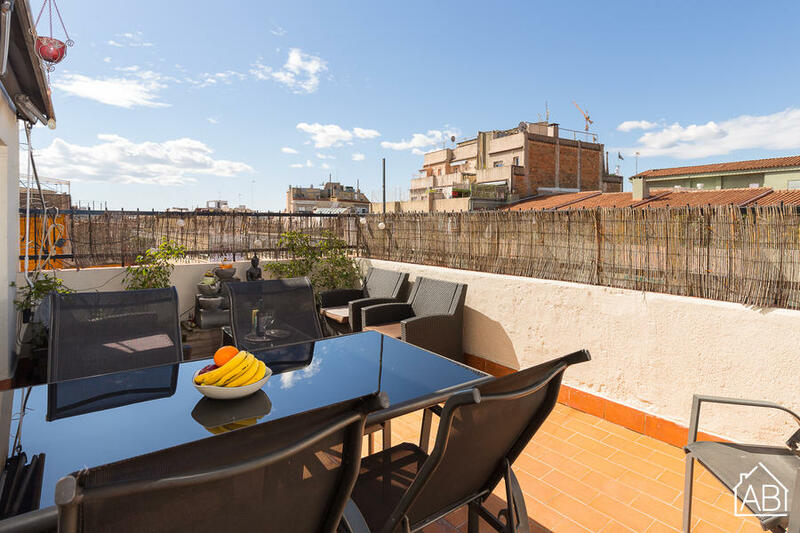 This recently renovated apartment is located in the Eixample disctrict and boasts a private terrace, air-conditioning, free Netflix and free Wi-Fi. The apartment is modern throughout and is located very close to Barcelona´s 22@ district, an urban renewal area in the Poblenou neighbourhood centred around Plaça de les Glòries. This zone is known as Barcelona´s district of innovation and is constantly promoting growth in terms of jobs, new businesses and economic innovation. Additionally, Antoni Gaudí’s famous Sagrada Familia is just a 6 minute walk away, and the surrounding neighbourhood offers plenty of shops, cafés, supermarkets and restaurants. It is just a 3-minute walk from Monumental metro station. The apartment accommodates up to 4 people, containing 1 double bed and 1 double sofa bed. The kitchen is equipped with a microwave, oven, coffee maker, kettle, juicer and hob cooker. The apartment also contains heaters, washing machine and a dryer. It is located just 20 minutes’ walk from the Arc de Triomf and Parc de la Ciutadella. Just a 10-minute walk away is the famous Encants market and Glories shopping centre which also offers a cinema and many places to eat. This neighbourhood is a great choice for those interested in local culture, business development and city stays.